What To Know About Graphic Design? If you did not already know, being a graphic designer is a very important job that can sometimes be very difficult. There is a lot to know about graphic designing and a lot of school you have to go through before you can become one. Not many people would know or think about it, but a lot of things you look at every single day are done by graphic designers. Some of these things are big and some are very small. Regardless of the size, a lot of work and effort goes into the design of what is being created. It takes a lot of skill, knowledge, and even experience to know how to design something that will look good and be what the customer wants and is paying for. Graphic design is a very fun, challenging, and rewarding job that is not meant for everyone. Whether your designing a logo for a small clothing boutique, or a pet turf construction company, it’s all the same. You have to be creative, and make sure that you get the emotion that the owner of the company is looking to portray. 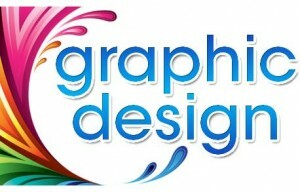 Graphic design is also known as communication design. It can be physical or virtual, and may include images, words, or graphic forms. The work of graphic design can happen at any scale. It can be from the design of a single postage stamp to a national postal signage system, or from a company’s digital avatar, to the sprawling and interlinked digital and physical content of an international newspaper. Not only that, but it can be for any purpose. Whether it be commercial, educational, cultural, or political. This is why you see graphic design every day and sometimes do not even think about it. Since there are so many different things that can be created and made that need done specifically by a graphic designer, it can be a very high demand job. Graphic design is very unique and always changing. There are so many different tools that are available to graphic designers and there are always new tools being released. This is why graphic design is so amazing. Sometimes a company may have something designed for their company and then they find out that there is a new and exciting way to have it designed because of a new tool available for use to graphic designers. Not only this, but there is always new business’ being created and new products being created. This means that there will be some form of something that will need designed by a graphic designer for the company. In my experience as a graphic designer, you do not ever have to worry about not having any work or even enough of it. You will always have something to do! Graphic design is so unique and unlike any other kind of designing job out there. In a world that is constantly moving at a fast pace and expanding, graphic design will always be used in so many different forms. Graphic design is even used for some billboards. Although billboards may not seem very important, they are. They might not always be around either, but there will be something to replace them one day that will need done by a graphic designer. Great short video about the basics of graphic design. This entry was tagged communication design, online graphics, web design. Bookmark the permalink.